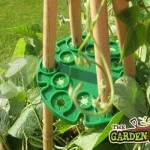 Plant supports are an essential tool in every gardeners tool box. Not only do they keep plants up off the ground and looking neat and tidy, but they also help to maintain a plant’s health and prevent the development of mould and rot on plant’s fruits or vegetables. Wigwams cane grips are most commonly used on vegetable patches and have but an aesthetic as well as practical function here. 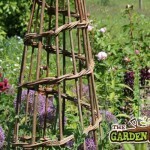 The tall frames rising above the vegetable rows can make an attractive break from the norm and add height and interest to your garden. In terms of functionality, wigwams cane grips make caring for crops such as peas, beans, cucumber, tomatoes, squash and peppers. 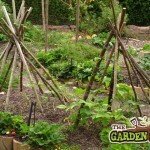 The wigwam frames make great space savers in a small garden as you introduce an element of vertical gardening. These vertical gardens are easier to maintain as crop care including spraying, pruning and harvesting can be done with ease and without the need to bend over or crouch. © 2018 HowtoGarden.ie — All Rights Reserved.